In this post, I'll explain how you can dynamically set values to the task metadata. By doing so, you'll be able to have absolute control of your tasks on runtime : dynamically assigning a task to one/several users, one/several user groups, defining a deadline, etc, would be a piece of cake. 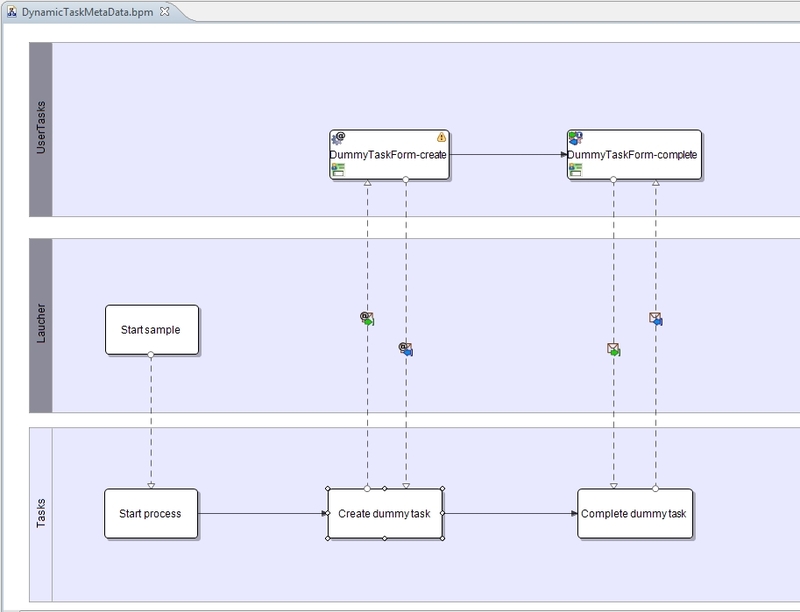 for this post purpose, I didn't waste my time creating an elaborate AjaxForm for the task. Actually, I've simply created an empty form. So, don't waste yours neither if you're only trying to replicate the process. as you can see on the screenshot, there's a warning mark on the form. 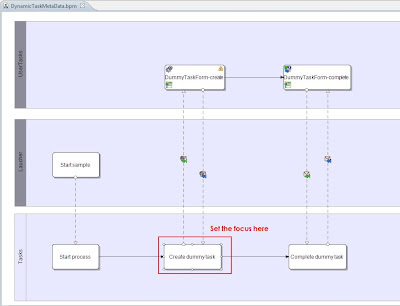 The reason is that I did not assign the task to any user or group, given I am going to show how you can dynamically assign a task. For those who absolutely can't bear to have warnings in their project, just go ahead and assign a static user/group, the result will be the same. Then, expand the "createTaskMsg" root element and you'll see all the task metadata to which you can dynamically set a value. 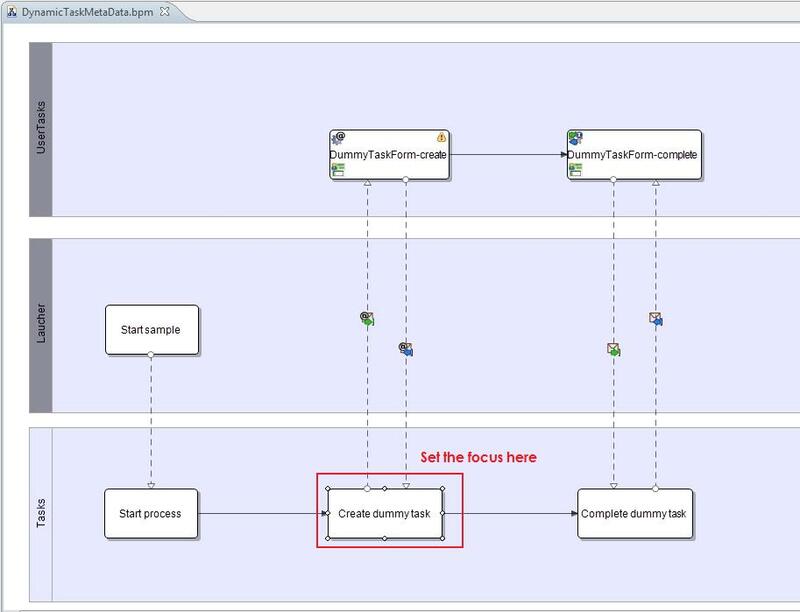 In this example, I've assigned the task to 2 users : examples/ewilliams and examples/msmith. By the way, in this example, you've probably noticed how convenient it is to have a column in the task list showing the users to whom a task has been assigned ... This feature could be very useful once you need to implement hierarchies among users and user groups. As a result, the "examples/ewilliams" and "examples/msmith" users will have a task that must be completed by 11:00 December 31 2011. I would like to read basics of Jboss and how it is related to Intalio. Can you pass some links ? What do you mean by "basics"? 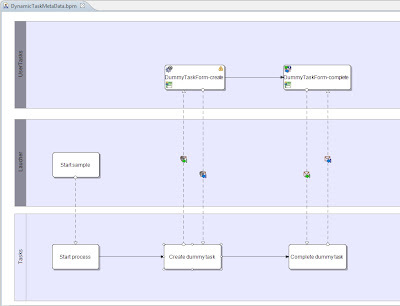 How one could integrate the Intalio BPMS into JBoss application server? Because according to the Intalio documentation, Intalio BPMS is integrated within JBoss application server only in the Business Edition.